My marathon training, combined with daylight saving time leaving few available running hours during non-work time, has resulted in running many, many miles in Salisbury. 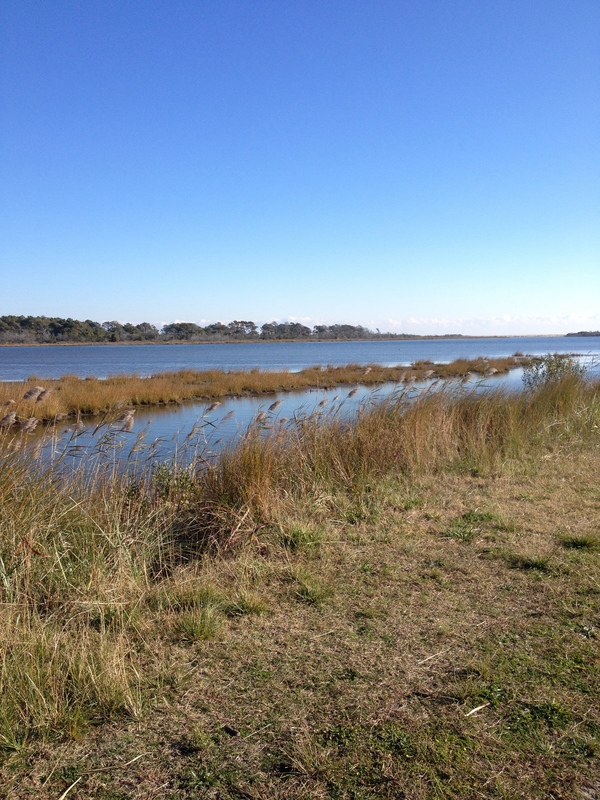 Chincoteague Island is just a little more than an hour away from where I live, in Salisbury, and I had the time to drive down there and run. I ran just less than eight miles on the trails before heading toward the small downtown area. 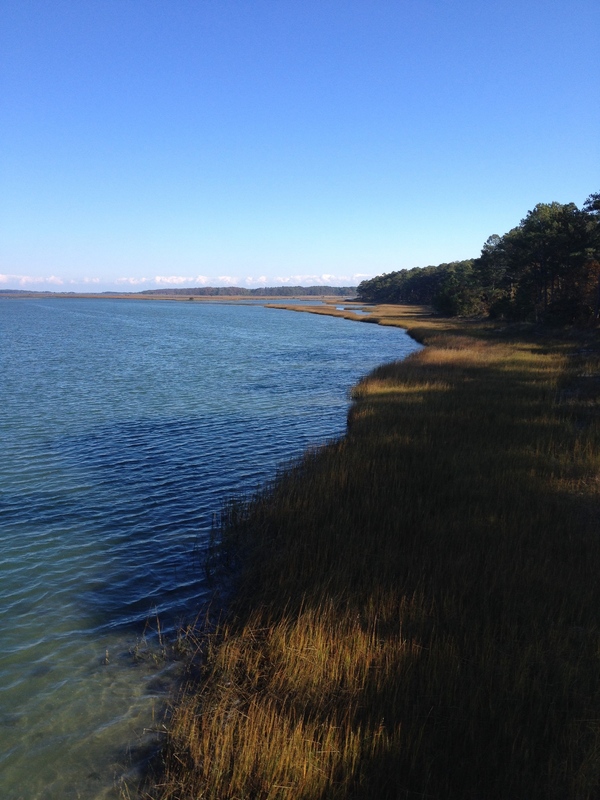 I ran on the Marsh Trail, Wildlife Loop, Black Duck Trail and on Beach Road toward and away from the beach. I avoided the Woodland Trail because there was a hunting event going on that day and I’d asked at the toll booth if there were any areas I should stay away from. I really enjoyed getting to see the nature. Unfortunately, I only got to see the wild ponies from a very far away distance that probably wouldn’t have even been captured by my phone’s camera. However, there was evidence — their droppings — that they’d been on the trails recently. Here’s a map of the trails, in case you want to plan your own visit. While driving toward the refuge, I tracked that it was about two miles from the Chincoteague-end of the Chincoteague Causeway to the refuge. Since I was running 20 miles, it was a reasonable distance and would help mix up the scenery a little bit. 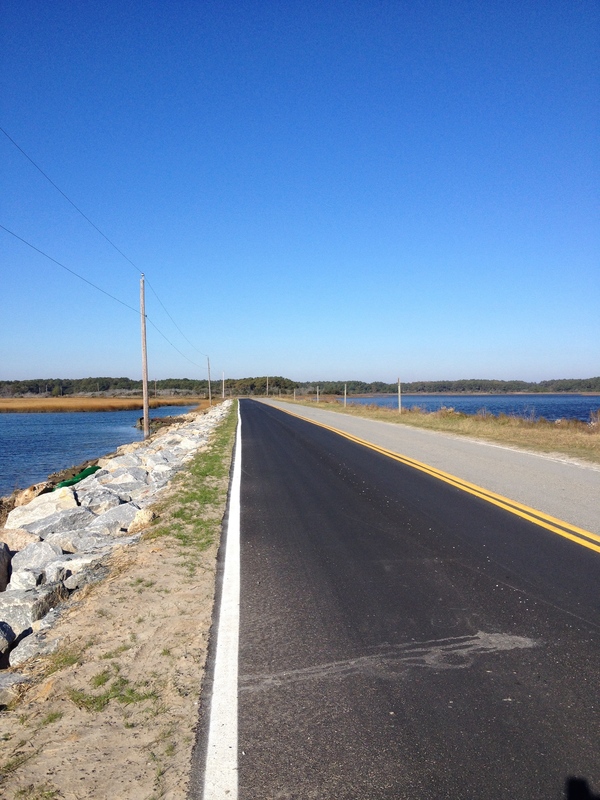 After making my way to the start of the Chincoteague Causeway, I ran on that a little bit before turning around and returning to the town. 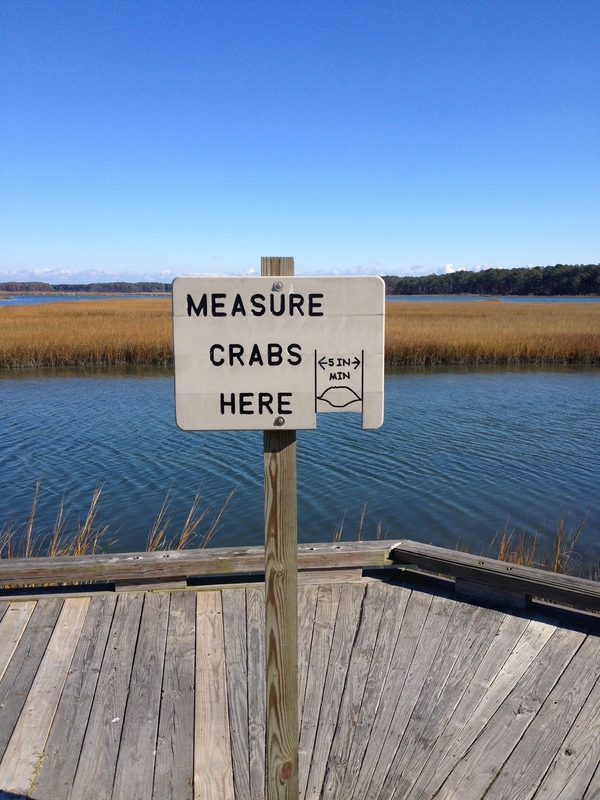 I’ve only been to Chincoteague a couple times before, so it was fun to do exploring throughout my run. 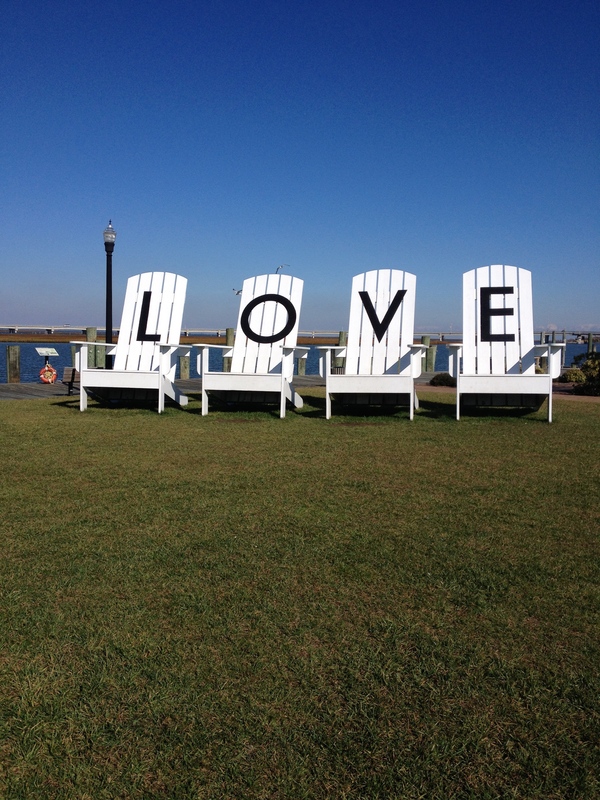 I saw a work of public art with oversized Adirondack chairs with the letters “L,” “O,” “V” and “E.” I saw the hoof prints of Misty of Chincoteague outside the Island Theatre, and carnival grounds with a painted statue of a pony. By the time I began heading back to the refuge, I was almost at Mile 16, so I hardly had any running left to do when I got back. I really didn’t feel that bad because I had continually been stopping to take pictures and I was taking a pretty leisurely pace. However, I was tracking the distance on my phone and stopped for a short time at my car to charge it so that my phone would last until the end. I stopped for most of the pictures in the beginning, so my running was probably more efficient during the second half, and it even seemed to go by faster. Afterward, despite the cold temperatures, I decided to make a stop at Island Creamery on Maddox Boulevard in Chincoteague Island on the way out, and I’m glad I did. Last time I ran in Chincoteague, I got ice cream on a homemade waffle cone, and I remembered how good it was. I decided to get the smaller size (which is huge) of the Pony Tracks flavor, which is similar to the idea of Moose Tracks, on one of the homemade cones, and it was delicious. I also brought back a pint of the Chocolate Peanut Butter flavor. Yum! It was nice to enjoy a change of scenery in a fun location. I had never run 20 miles by myself before, and doing that distance alone — although it took a long time — made that solo run much more fun because I got to explore the entire time. This Sunday, I’ll be back to doing my long run in Salisbury — which I am also looking forward to, because I expect to be running with friends. Love the pictures! Looks like you had a great run last week. I hope you have a nice run tomorrow as well.